HereÃ¢€â„¢s an easy-to-use yoga strap that will stay in place and is easy to adjust on the fly. 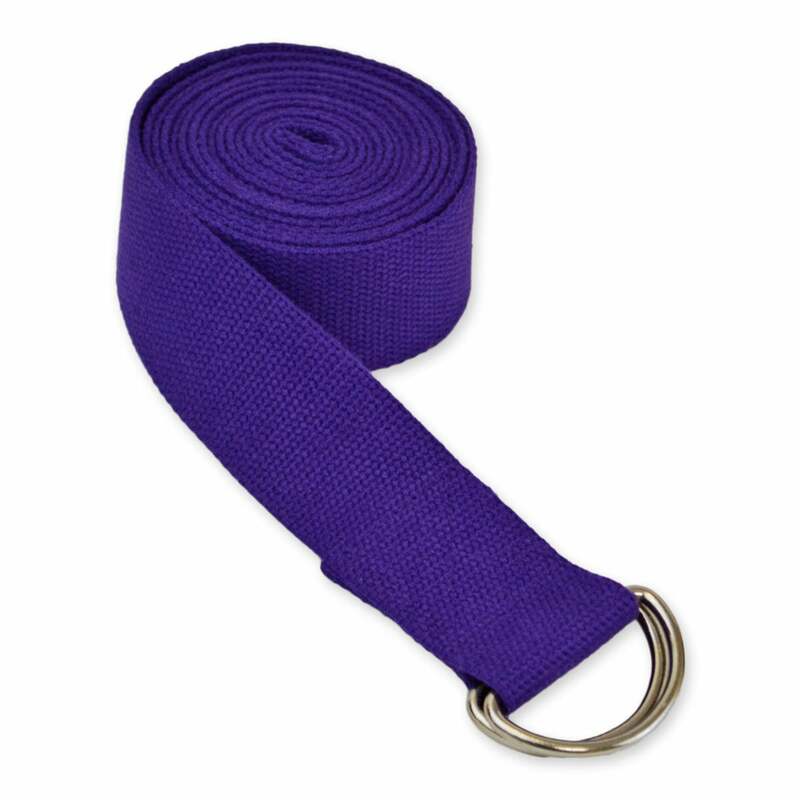 The 8 Foot Yoga Strap with D-Ring Buckle is made from extra thick, durable cotton that is manufactured with a textured surface so it wonÃ¢€â„¢t slip off your foot or out of your hand! Eight feet is more than enough length for most yogis. The D Ring is made from a thick metal that wonÃ¢€â„¢t bend or break. D- Ring buckle is designed for ease of use for adjustments in balancing poses. Straps are crucial to any yogi's practice for improving alignment and flexibility. This ring also comes in a short 6 Foot version or longer 10 Foot verison. Yoga Props are useful for yoga students at all skill levels. Whether your students need help maintaining proper alignment in postures, or need extra length to simply connect their limbs together when they are not strong or flexible enough to do so on their own, you will find these Yoga Props are just what the doctor ordered! 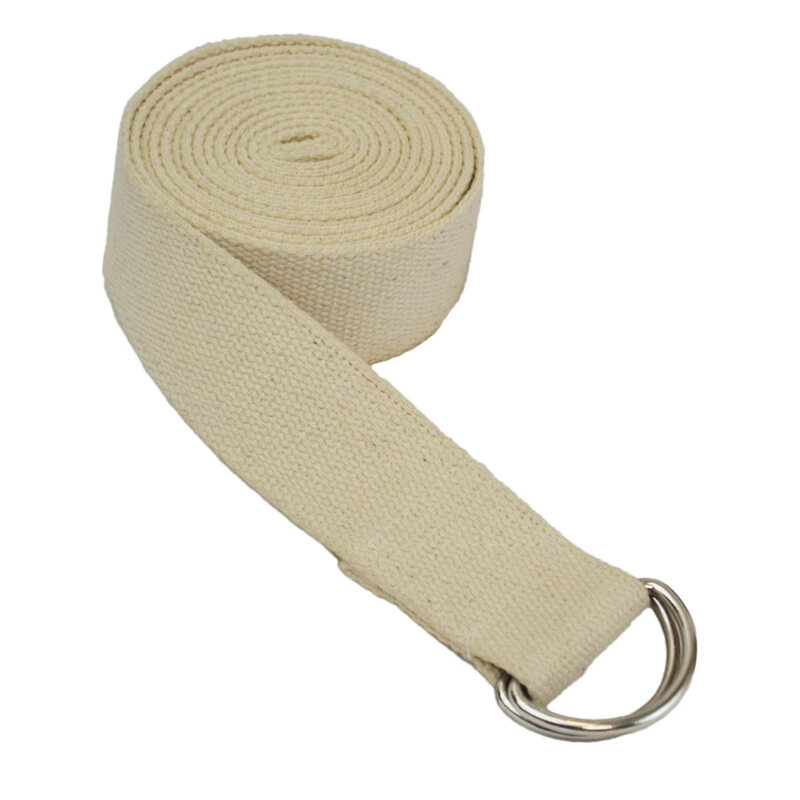 Our Yoga Props are sturdy and durable and made of 100% cotton, and these particular straps measure 8 feet long and feature a metal D-ring buckle. We want our customers to know that we appreciate their business, thatÃ¢€â„¢s why we offer an easy return policy. Yoga Direct understands that sometimes products are not what they seemed like on the internet... so we are giving you the chance to send it back with no hassles! Just submit an RMA request through your account and we will send you everything you need -- simple as that!! Yoga Class Essentials! My yoga classes always begin with 2 yoga blocks, 2 blankets, one strap, and one bolster. The straps were perfect and exactly what I needed. These straps are the perfect length and excellent quality. These are great quality straps. Like the bolsters though I wish I had a way to check on the color. The purple was way different than what is pictured. My yoga straps were delivered in a short period of time. I wasn't sure if I wanted the six or 8 foot strap but went with the eight and I'm thrilled with them. Totally worth the extra money. 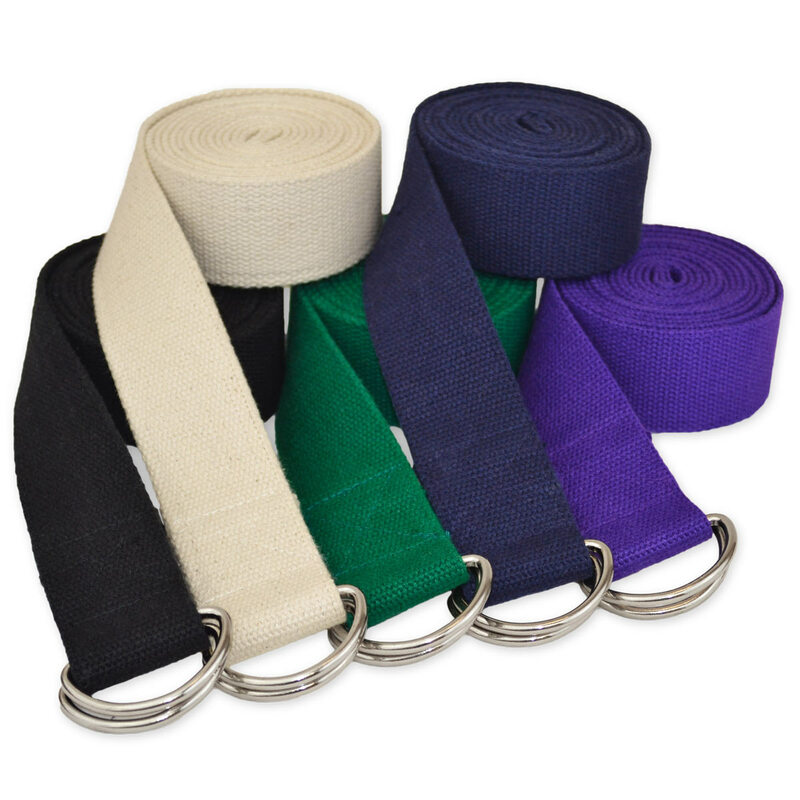 We've been using and selling these straps in our studio for over 12 years. No problems, they launder well. The D rings are durable and do not rust. No issues. I would not hesitate to purchase again. Great site for your Yoga teaching needs. Fast and efficient delivery. The straps are a perfect addition for my students use. Durable good quality. These straps appear sturdy and well constructed. They make a quality presentation - just what I want in my classes.